Diabetics have to abstain from taking sugar, just as is often recommended by doctors. 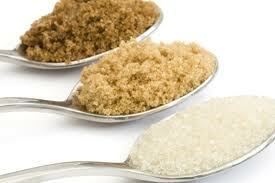 Often, diabetics replace sugar with sugar substitutes so that they can still enjoy their favorite foods. However, are such sugar substitutes really safe? Below is information on these artificial sweeteners and matters which ought to be taken into consideration before using them. Overall, many of the artificial sweeteners available to diabetics are regarded as free foods. This means that they have no calories and therefore, need not be counted together with your carbohydrates in your daily consumption, and this aspect is important to diabetics. Being free from calories and able to sweeten foods are two aspects diabetics like as they can enjoy sweetness without a blood glucose reaction. However, not all artificial sweeteners are sugar-free. Some artificial sweeteners such as mannitol, sorbitol as well as other sugar alcohols can increase blood glucose. So, they have to be included in the carbohydrate consumption, and their calories counted. As such, diabetics have to know the type of sweetener that has been added to the food they consume. The safest way to ensure the right artificial sweetener is being used is to prepare beverages and foods at home. One artificial sweetener is Splenda® which is the name of the brand for sucralose. When it is used in baking and hot beverages, the flavor remains unchanged. Therefore, it is the best choice for any baked food, hot tea and coffee; foods and drinks which usually need sugar. Sold as Sugar Twin® and Sweet N Low®, saccharin is good for cold drinks and foods. It may be used with hot drinks but some people claim that saccharin has a bitter taste when it is used in hot foods. Sold as Equal® and NutraSweet®, aspartame is better when used in cold recipes; it is not advisable to use aspartame in cooking. All diabetics ought to understand that not all prepackaged foods are diabetic-friendly just because they use artificial sweeteners. To improve the taste, many processed foods contain excessive amounts of fats and carbohydrates. The use of additives in processed foods most probably make them not as diabetic-friendly as those processed foods which use very small quantities of sugar. Overall, all artificial sweeteners which are now available to diabetics can be said to be safe for their use. Still, care need to be taken in the use of any product as there may be side-effects. However, a person may get allergic reactions when using a particular artificial sweetener while getting no side-effects from all the other sweeteners. Since we still do not know the effects of using artificial sweeteners for a long period of time, it is best to use it sparingly in our diet plans. Knowing that certain artificial sweeteners are better for certain uses, it can be advantageous to have a few types of artificial sweeteners in the kitchen.